[Source: blastr.com] Rejoice, Vampire Hunter D fans. Plans for a new CG-animated series based on Hideyuki Kikuchi’s long-running series of Japanese novels have been unveiled. Anime News Network has been told by California-based production studio Unified Pictures that it will bring Vampire Hunter D to our TV screens. Unified Pictures producer Scott McLean said: "I've been a fan of Vampire Hunter D since I was a teenager. I'm overjoyed at being able to be a part of creating a new chapter for a story I greatly admire." The company will be co-producing the series with Japanese CGI animation studio Digital Frontier, who gave us Resident Evil: Degeneration, Tekken: Blood Vengeance and Mighty No. 9. Another piece of good news is that Kikuchi himself is involved with the project, as well as Vampire Hunter D: Bloodlust director Yoshiaki Kawajiri. Hideyuki Kikuchi began writing Vampire Hunter D back in 1983, and the 29th book in the series was released this past May. The story follows D, a half-human, half-vampire (shades of Blade, anyone?) called a dhampir, who hunts blood-sucking vampires in a far-future (and I mean really far, since it's set around 12,090 A.D.), post-nuclear world. The novels got a first animated movie in 1985, and a second one 15 years later, in 2000 (Bloodlust). It was adapted as a series of audio dramas from 1988 to 1990, before getting a videogame adaptation in 1999. 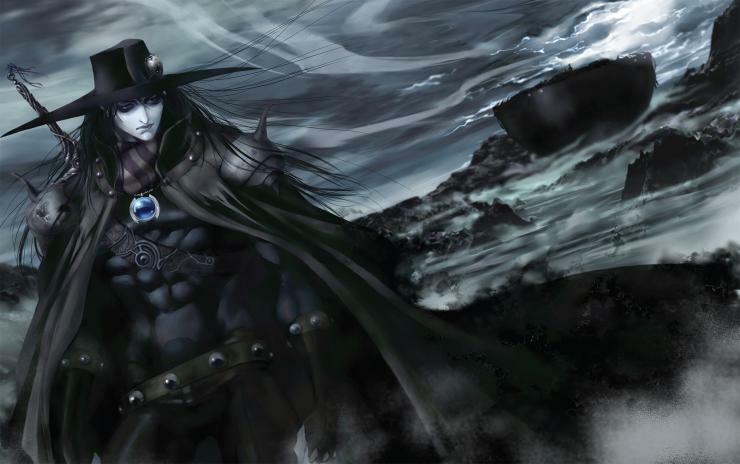 In 2007, the Vampire Hunter D novels were adapted as a new manga series. Unified Pictures are set to reveal more details regarding plans for the show’s format and story during its panel at Anime Expo at the Los Angeles Convention Center on Thursday, July 2. Really do not see any too good coming out of this one but let's just hope it sticks with it's source material. The original 80's VHD OVA was the 2nd authentic anime I've ever watched, the 1st was Robot Carnival.